Introduction – Is God Communicating Anymore? A reoccurring theme of the Bible is God communicating his will to humans. The patriarchs received instructions from God. The nation of Israel which came out of their obedience received great revelation through the prophet Moses and subsequent prophets. Later, Jesus, “the prophet like unto Moses” and his apostles shared the Gospel of the Kingdom to first century Israel and later the world. The written record of the revelation of these prophets makes up the Bible which Christians guide themselves by today. But is that all the communication there is from God today? Did God really stop communicating to humanity in this way nearly 2000 years ago? Or is he still communicating, maybe in a different form—now that we already have the OT and NT writings? If God is speaking today, Christians like you want to hear about it. You certainly don't want to miss it. For some Christians it goes a step further. They are desperate to hear something from God. The Bible is so confusing that some feel discouraged every time they read it. They are unable to glean much from what God has already said. They will therefore entertain ideas about how God might be “trying to tell us something” in other ways. Disasters, Heavenly Signs, Wars – God? Heavenly Signs: No comet can approach, no eclipse can occur without some segment of Christians finding secret warnings from God in it. Wars: When a war breaks out, Christian leaders often announce connections between it and God punishing or cursing someone involved. Are they completely off base for thinking this way? No. The Bible records instances of God using all of the above methods to communicate with or judge peoples. God's Heavenly Signs: God used the Star of Bethlehem to announce Jesus birth and location. God's Wars: God stirred up the enemies of Israel to attack multiple times and eventually to exile the disobedient nations of Israel and Judah. So how do we know when God is behind these things and when they are just normal natural events that happen on their own? That's the million dollar question we'll explore next by analyzing this theory logically. Further, the Bible shows that God does not expect us to just have faith in him and what he can do, but he also can hold us accountable for poor thinking. The story of the Lying Prophet and Disobedient Man of God (1Kg 13:11-34) demonstrates that lazy thinking can cost even a “man of God” his life. In that account, God slew a prophet for listening to the unwise counsel of a lying old prophet. If he had stopped and questioned why God would send another prophet to tell him something that contradicted what he was already commanded instead of simply speaking to him again about his “change of mind,” he could have seen through the old prophet's deception. Some Christians might object by pointing out that it's not logical that, say, a virgin gives birth and many other things God has done. However, Isaiah saying a virgin will birth is not a question of logic. It came from God's prophet and is the Word of God so it's a matter of faith. When people claim things not in the Word of God, we can apply logic to test their validity. The blood moons and theories like it are not in the Bible but are instead based on human reasoning. If you understand the rules of sound reasoning you can see if the theory is flawed and avoid being deceived by it. Anyway, logically, we can safely say that not every natural or man-made event is directed by God. Wars, storms and eclipses are all explainable by natural laws or cause and effect. It would be wise not to accept the counsel of those claiming God is behind one of these common events unless we have strong proof to the contrary. So what constitutes proof? If you ask the Christian speculators, all that is needed is for them to demonstrate that the event is rare or unlikely. For example, you'll hear them ask, “Do you know what the odds are of X happening on Y? Astronomical!” Where X can be an eclipse, war, disaster and Y can be a holy day, a significant day in history or current events. The original 2008 version of the blood moon tetrad theory (predicting Christ's return seven years later in 2015) worked exactly that way. Because four lunar eclipses in a row (a tetrad) are rare and because the Jewish holy days are derived from the Bible and significant, therefore the two together “could be prophetic, God trying to get our attention.” In logical terms it was effectively saying that “B” happens, therefore an extraordinary “C” will happen while ignoring that a mundane thing “A” causes “B” which only seems to be rare. 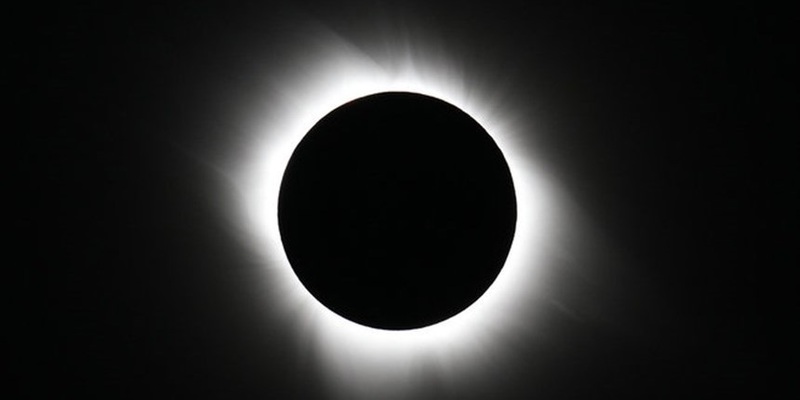 Total eclipses routinely and mundanely happen on full moons every year or two and the Jewish calendar is lunar so that two holy days routinely fall on full moons. It is therefore inevitable that eclipses will happen on Jewish holy days sometimes. Now if a prophet of the Bible assigned meaning to eclipses it would be a different matter. Yet the Bible nowhere assigns any special meaning to individual independent lunar eclipses let alone four in a row. (It only predicts a blood moon among many disasters at the beginning of the end times without giving any meaning to it (Rev 6-8)). If someone decides that four eclipses in a row on holy days means something, why don't individual holy day eclipses mean something, too? When it's asked like that, it quickly becomes obvious how arbitrarily based on rareness this all is. Four holy day blood moons are simply rarer than single ones, enough to pass some “rareness threshold” we needed to defend the notion of them being significant. If one can then search through history and cherry pick some instances of these events (not all) because they happen near other events subjectively deemed “significant” (like Israel's 1967 victory in the Six Day War) then one can convince many more people that they have found something prophetically significant (as long as people don't understand the Texas Sharpshooter Fallacy which this approach transgresses). Then why do people think searching for God in rare events and patterns is right? It's as if people confuse rarity for divinity. It may come from a misunderstanding of miracles. I often hear believers refer to an unlikely last minute blessing that worked out as “a miracle!” It may have been surprising and good or surprisingly good, but that does not mean God did it and it certainly does not qualify as a miracle that, say, you were able to find a great deal on a car. To sum up, while a miracle is a rare act of God, it does not mean that everything rare is a miracle or the hand of God trying to tell us something. To say otherwise requires using fallacious logic called "affirming the consequent." But the verse lists the purposes of the sun and moon: to provide illumination, to separate night from day, and to mark out seasons, days and years. In other words, the purpose of the signs here is calendrical not predictive. You have to ignore the context and usage of sign here to make it into a prophetic sign. Genesis 1:14 (HCSB) — Then God said, “Let there be lights in the expanse of the sky to separate the day from the night. They will serve as signs for festivals and for days and years. Genesis 1:14 does not give us blanket authority to look to the heavens for generic signs from God. Nowhere in Scripture does it teach us to do so nor do we find examples of men of God using lunar eclipses or other heavenly signs to decipher the future. Instead it condemns the pagan practices of doing precisely that (Dt 4:19; 18:10; Isa 47:13)! What About the Star of Bethlehem? A common objection people raise at this point is the story of the Star of Bethlehem. If Genesis 1:14 doesn't say so, at least this story shows us that God uses the heavenly bodies for signs? There's no denying that this story provides a precedent of God using the heavenly bodies as signs to communicate, just as was admitted above. He used the Star of Bethlehem signs over up to a couple years (Mt 2:7,16) to announce Jesus' birth and confirm this fact to the Magi astrologers. However, no one would suggest that the reason for this story's inclusion in the NT was to make believers know that they also should look to the heavens for communication from God. It never even answers the question of how the Magi knew what “his star” was. There's certainly nothing in the Bible (even if they Babylonian Magi relied on the Bible, which they did not) telling us what star is the “Jesus star.” We can only speculate about this. Since Daniel was made chief over the magicians and Daniel received the key prophecy of Jesus' birth (the 70 Weeks prophecy of Daniel 9), it seems probable that they learned how to recognize when and where Jesus would come from Daniel and Scripture. Yet it's crucial to note that this sign was apparently missed by everyone else in the world apart from the Magi. Herod's wise men had not alerted him to a challenger to his throne being born right under his nose. Clearly, the Magi had solid information that we are not privy to. Information of such certainty that they undertook the long and dangerous trek to Bethlehem. In other words, while this story literally shows how “the heavens declare the glory of God...day after day they pour forth speech, night after night they reveal knowledge” (Ps 19:1-2), it also demonstrates how few are able receive knowledge in that way. Only one group on earth was able to receive actionable information from the heavens about Jesus' birth. This is not a method God can use to communicate clear warnings to the general public as is so often claimed by Christian prophecy YouTube jockeys. How Did Normal People in Bethlehem Find Baby Jesus? Obviously, ambiguous technical signs in the heavens are not going to cut it when God needs to get an important instruction to regular people, such as a warning to move or repent. What does God do in that common case? There are many more examples of this dominant pattern of divine public communication throughout the Bible's accounts (click the link at left for another article explaining several). We learn from them that for communicating messages to plain people, God uses plain language spoken plainly through his verifiable representatives. No mysterious, technical, or subtle smoke (or light) signals are used that can be missed or misunderstood. Think plain English. Similarly, his representatives are either obviously sent by God (like the impressive angels who visited the shepherds) or they can prove they are from God, like all true prophets can. Prophets may do this by making accurate predictions as Samuel frequently did to establish himself as God's prophet. Or they may do signs and wonders as Moses did, like turning water to blood, his hand leprous and turning his staff into a snake. This of course is a far cry from the self-proclaimed Christian prophets and pastors of today who are unable to demonstrate reliability in predictions or perform a sign to prove God is speaking through them. God does not expect you to pay attention to all the latest theories on how God is speaking through a current events either in the heavens or on earth. Goes does not expect you to trust unsubstantiated speculations and opinions of our Christian pastors and teachers or even self-proclaimed “prophets” who lack the credentials that the biblical prophets had. God does not expect you to become an expert in biblical astronomy like the Magi were, or even an expert in the Bible. We only need to pay attention to how God has spoken public warnings in the past and wait for one of those to come when the end times require it. Revelation predicts such messages "from heaven" (Rev 18:4) will come one day by angels (Rev 14:6-11) and prophets (Rev 11:3; 14:3-4). For example, there has been a lot of speculation passed around among Christians over the centuries as to what the mark of the beast is or will be or that God is warning people to avoid it today in subtle ways. Christians worry about taking things such as proposed financial or medical biochips. However, there is no need to follow or worry about such layman speculation. Revelation 14 quoted in the paragraph above tells us plainly that an angel will deliver a message from heaven (probably to the 144,000 who will then spread it worldwide) telling people "don't take the mark of the beast!" Either by then what the mark is will be plain and obvious or the message would included information on what this mark is that it's warning about. Anything less would be an ineffective message from God, akin to warning us "Don't catch cancer!" (How exactly do you do that?) 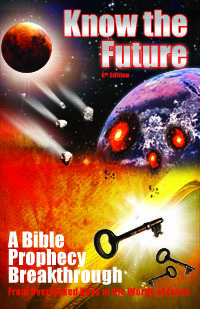 We see in the Bible that God does not speak so ineffectively as our prophecy speculators represent him to with their divine eclipse, disaster and war theories. When you think about it, we find ourselves in a position similar to the man of God who the old lying prophet of God deceived. Just like him, God expects us to only listen to messages from him that are consistent with what and how he has spoken in the past, just as the Bible records for us. When (not if) someone comes along telling us anything that contradicts this past revelation or pattern of revelation then we can safely ignore them as there is "no light in them" (Isa 8:20). Listening to speculative theories like that won't help us to find out "God is trying to say today;" it will only distract us from the real sources of his communication.